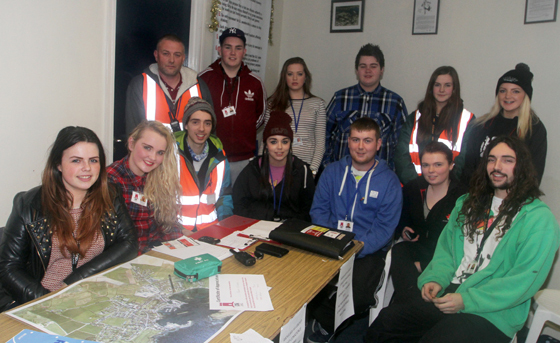 STREET SAFE is a new organisation in Ardglass set up to promote community safety. Down News met up with a group of volunteers who were preparing for an evening on alert as the bad weather was building up with late night gales. 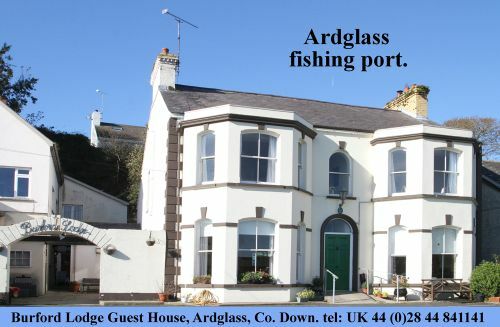 The group had used the upstairs of Ardglass Marina as their HQ base for the evening. 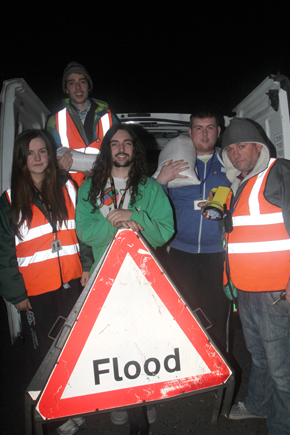 Organiser Gerard Forward said: Our main aim is to keep an eye on vulnerable people in our community. We ensure that they are safe. Our members who are radio controlled has developed bonds of trust with people in our community. They can call into to their homes as they do and chat to them on a regular basis. If they need help we can signpost them to different people such as local tradesmen etc. Some of the Street Safe volunteers in Ardglass with organisers Gerard Forward and William Mulhall (junior). “Our members also include parents and adults in our community. We have access to pin controls so we can enter the premises of elederly and disabled etc to ensure they are safe and comfortable in their homes. We may turn off electrical devices, make sure their heating or open fires are safe, fetch coal and wood for them and also put out their bins on collection day. We can also do shopping for them for their essentials. Caolan Mulhall, Rebecca Smyth, William Mulhall, John Moore and Gerard Forward ready tor a night on duty as Ardglass is threated by a tidal rurge. “The volunteers may just have a chat with them or make a cup of tea. We also help address the fear of crime which too can be a very demoralising experience especially for the elderly residents in Ardglass. If they are concerned about young people making a noise or distrurbing them, we also have procedures for dealing with that. “Many older people too have pets and we also may help to look after them. Basically we ensure they are safe by checking fire safety and ensuring thare are no blocked exits. Even simple things such as ensuring there are no trip hazzards is important. Every town and street should have a Street Safe group. We are your friends, neighbours and relatives. At a meeting to discuss the impact of the cuts to the Downe Hospital A&E hours, the Street Safe volunteers were unanimously opposed to the cuts announced last week by the South Eastern Health and Social Care Trust. Nichola McCoubrey said: “There are a lot of members who are concerned about what is happening to the Downe A&E service. You cannot run such a service with tired doctors and nurses and we know they are working very hard and long hours. This will just cause extra pressure in staff especially in other hospitals where the patients may be displaced to. Kathy Curran also expressed her concern saying: “This cut to the Downe A&E will impact quite seriously on the people of the Lecale area and the lower aeas of Down District. There does not appear tp be a cancer support service at the Downe and if we have to go to Dundonald just for a simple procedure as a blood test this will mean that he road there will be all the busier. We simply can’t envisage our hospital closing. There is no doubt that the volunteers of the Street Scape initiative will continue their good work in Ardglass in community safety, and will fully back the campaign to have the Downe A&E hours back to 24-hour coverage. Street Safe is all about creating a safe community, one that everyone is proud of. It is about people emmpowerment. And so far, the young members of Street Safe has shown they are up to the mark in delivering an innovative programme, one which will be modelled on by other communities in months and years to come. The seeds of Street Scape may have been sown from the last action plan rolled out in Ardglass through the Down Community and Safety Partnership and also ideas based on a scheme in East Belfast, but the group has shaped itself to address local needs in a creative away.